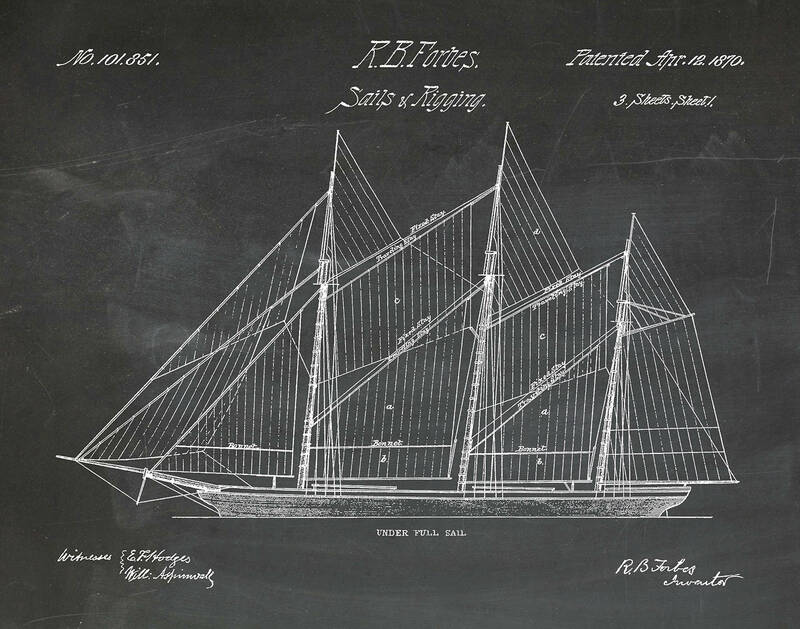 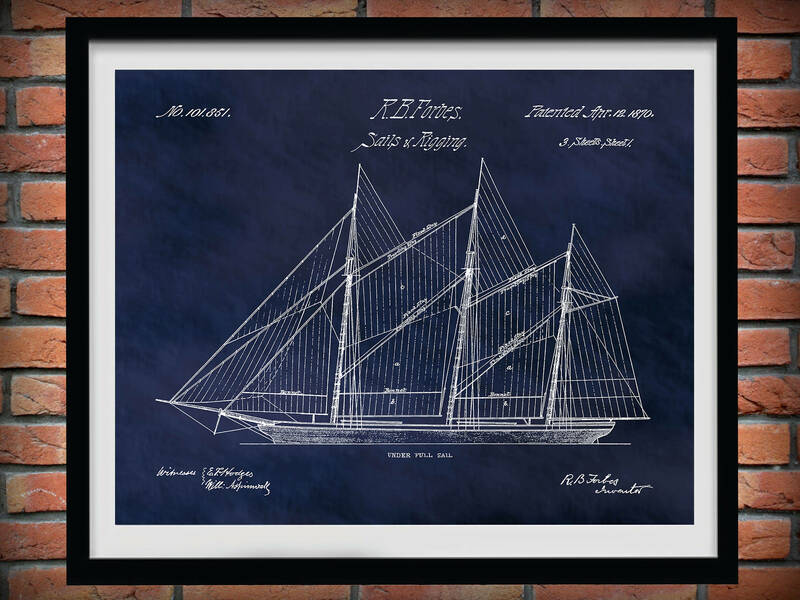 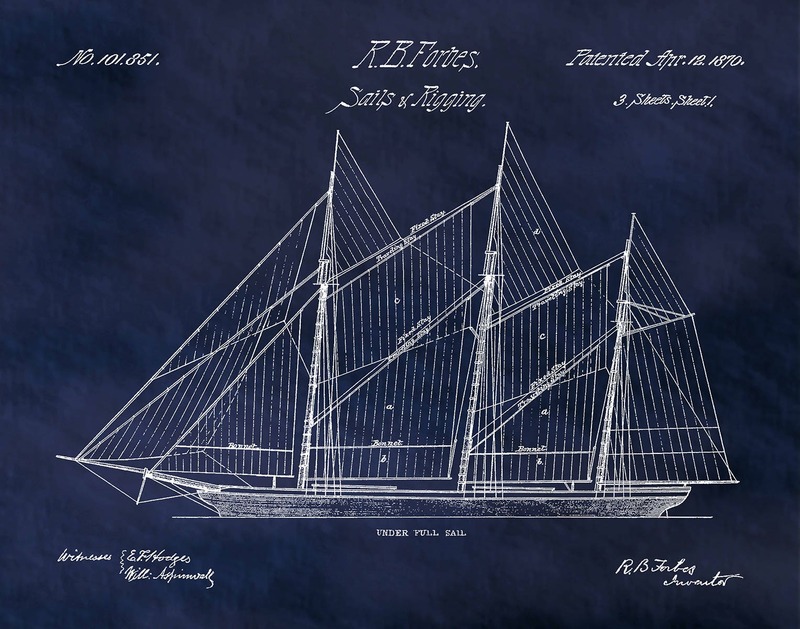 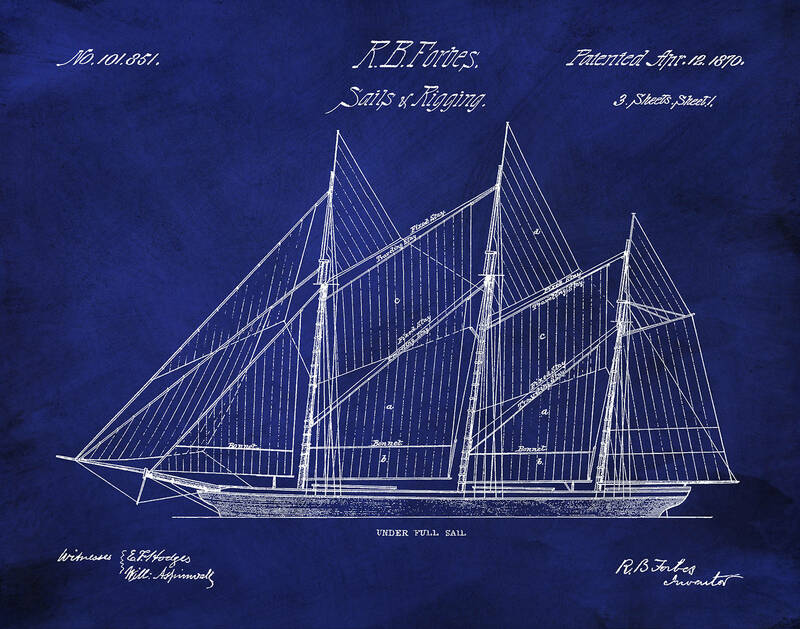 1870 Sailboat Sails and Rigging Patent designed by R.B. Forbes. 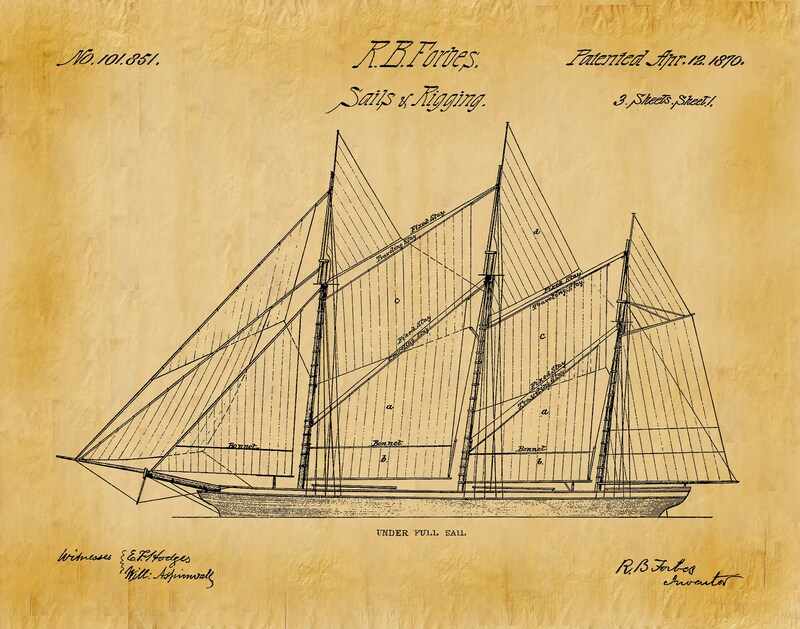 Patent was issued by the United States Patent and Trademark Office on April 12, 1870.